When people hear the word shark, they usually think of man-eating monsters. They picture scenes from the movie Jaws, or images of unsuspecting surfers getting attacked. The truth is, sharks are not the menacing, aggressive creatures the media makes them out to be. One species of shark, the whale shark, is among the most docile sea animals, and, in the right environment, is even safe to swim with. A perfect place to interact with these gentle sea creatures is Oslob. 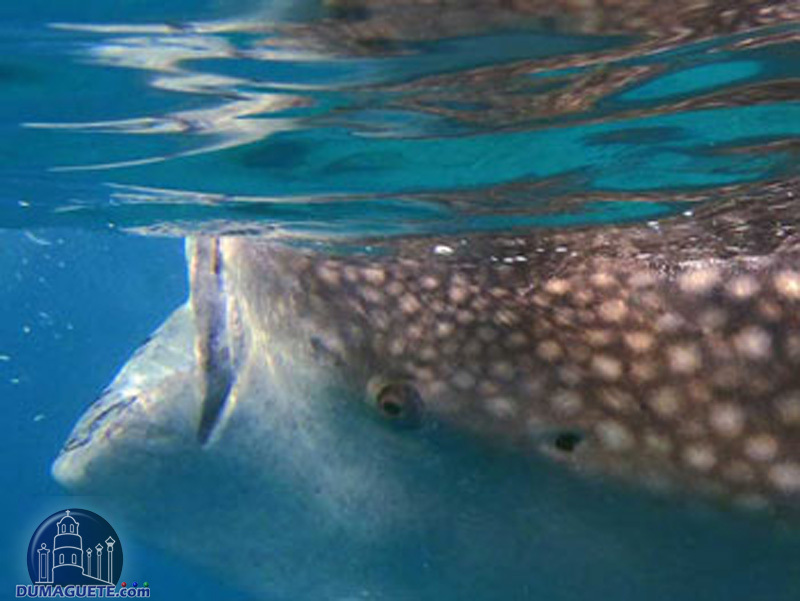 Whale sharks have been coming to the beach of Tan-awan in Oslob for many years. They come to that area to feed on the tiny shrimp and other small fish which inhabit the waters there. Whale sharks are some of the safest large sea creatures to interact with because they feed using a filter instead of teeth. Fishermen in Oslob used to find the whale sharks a nuisance, so they would lure the sharks away from fishing areas with trails of the tiny shrimp. Over time, the whale sharks became used to the fisherman and would come up to the boats to ask for food. Now, with many partially tamed whale sharks flocking to the area, Tan-awan beach has become a major tourist attraction. 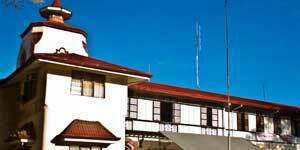 Read here about our trip from Dumaguete the whalesharks in Oslob using public transportation. 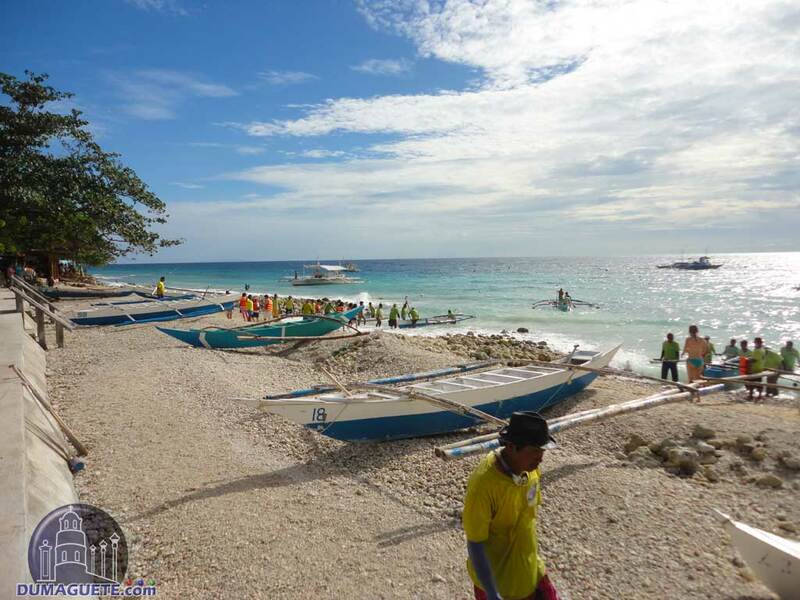 At Tan-awan beach in Oslob, a visitor can pay a small fee to watch the whale sharks from nearby or be taken out in a boat to the area where the sharks congregate. Sharks get incredibly close to the boat, so it is easy to take pictures. 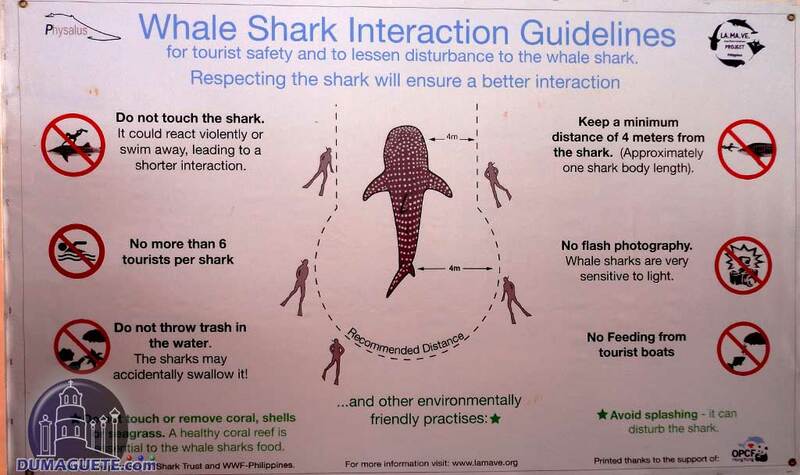 Visitors can also swim with the whale sharks, or dive in the area. 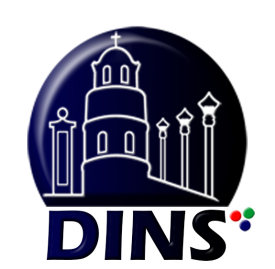 It is best for divers to bring their own gear, as there are not many places to rent scuba gear in the area. Of course, while swimming with the sharks, visitors are prohibited from touching the sharks or feeding them outside food. The fishermen only feed the sharks a small supplement of food that is the same thing they eat in their regular diet. Outside food could harm the sharks.